It’s your first year in business, and tax time has arrived. How does a new business owner prepare for getting those returns filed accurately, timely and in a manner that achieves the maximum business tax refund possible? Here are seven key considerations to take into account when filing your first business tax return. First, take a look at a copy of the business tax return you will file to see which line items on the return you'll be expected to fill in with amounts. Also, if there are questions asked on the return, make sure you have the answers to those questions. These could include the nature of the business, how many years you've been in business, and your business location. Make sure your chart of accounts has the correct categories of income and expenses for you to both manage your business and properly file your returns. While all businesses must keep complete and accurate records, many do not reach that mandate without an effort to ensure they are in compliance with the law. One decision the owner must make is whether to prepare the tax returns on the cash or accrual basis. 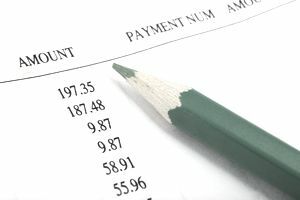 Under the cash basis, income is recognized when collected and expenses are recognized when paid. Under the accrual basis, income is recognized when earned and expenses are recognized when incurred. While lenders will generally prefer to see accrual basis financial statements, tax returns can still be prepared on the cash basis even if the financial statements are prepared on the accrual basis. A new business might have more unpaid expenses than uncollected income at year-end, and therefore might consider taking those additional net expenses as a deduction. This would be done by selecting the accrual basis. However, in later years when the business is profitable, receivables should be greater than payables, and so the business would be recording additional net income and paying more taxes if it had selected the accrual basis instead of the cash basis. Once you make the decision on which basis to use you will stay with it throughout the life of your business, although changes are permitted. Certain businesses, including those with larger revenues or inventories, must choose the accrual basis. The next decision to consider is which depreciation method to use. The Internal Revenue Service permits a first-year deduction of up to $100,000 for most furniture and equipment, instead of writing off the cost over five or seven years. So, most business owners would generally elect to take the first year write-off. However, businesses without profits can’t deduct the first year depreciation deduction, although they can carry it forward to profitable years. A business in its early stages might consider taking the slower depreciation route so that most of the deductions will be available when the business has income and is a higher tax bracket than in the startup phase. Sole proprietors in home-based business locations should consider the ability to deduct a portion of their residence as a business deduction. To be successful in this widely contested area, the business area used in the home must be used exclusively for business. The business owner would measure both the square footage of the home used for business and the total square footage of the home. The resulting percentage of business use would be applied to home office expenses to determine the amount to be deducted. If the business has a loss, then a home-based business deduction is not allowed but can be carried forward. In order to properly account for the business use of the home, the business owner would first deduct the percentage of the real estate taxes and mortgage interest that would otherwise be taken as an itemized deduction. If there are still profits remaining, then other home expenses such as landscaping, and general home repairs would be allocated to the business and personal portion, and a deduction would be allowed for the business portion. Finally, if there is still a profit, then depreciation on the home is allowed on the business portion. To calculate depreciation, the cost of the home must be allocated between the cost of the land (which is not deductible) and the building. The building must then be allocated between the business and personal portions by the percentage calculated earlier. The resulting depreciation deduction is then written off over almost a 40-year period, and the actual annual home depreciation expense would usually not be more than a few hundred dollars. Another piece to year-end tax returns is the review of independent contractors you paid to see if the government must be notified of their non-employee compensation. Your employees receive a W-2 form to identify their income and withholding tax. Similarly, your contractors, who make $600 (as of 2004 tax year) or more would receive form 1099-MISC from you, and the federal and state governments would also receive a copy. Contractors, who are corporations, are exempt from receiving this form, but partnerships and limited liability companies with more than one member must receive them. If you wait until year-end to obtain the contractor’s social security number or employer identification number, you might not be successful in obtaining that required information. Have your contractors fill out form W-9 to give you the needed information. Automobile expenses can be a major expense for a new or existing business. The business owner should maintain an auto log to keep track of where and when he or she traveled to, who was seen, and if there was a business purpose to the trip. While some individuals only track business use, I recommend keeping the log for all auto expenses, since those who itemize their deductions can also deduct transportation as a medical expense, and as a charitable contribution, deduction if active in a charity. The business tax returns will want to know when you placed the vehicle in service, and the amount of the business, commuting and personal miles for each vehicle for the year. Profitable sole proprietors are sometimes surprised to find that self-employment tax (social security and Medicare tax for self-employed individuals) can be overlooked and may be a significant part of their total tax bill. Be sure to calculate these taxes as part of your total estimated taxes when paying quarterly estimates. Also, be prepared for the April 15 surprise. Not only is the balance due for last year’s taxes, but also due is the first quarter installment of the next year’s taxes. Cash flow must be monitored to have these funds available. This list covers only a few of the many items a new business owner should consider in preparing for the initial business tax return. Those who work with business tax preparers should also consult with them to determine the format in which business data should be transmitted for preparation of your returns.